Circle of Sisterhood is proud to support the work of Daughters of Toleza Scholarship Fund. 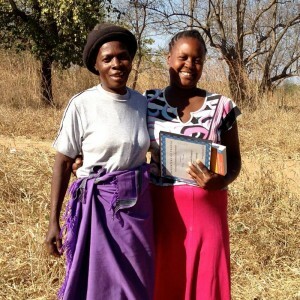 A first-time grantee, Daughters of Toleza Scholarship Fund (DTSF) is committed to the secondary education of girls from rural southern Malawi. A grassroots organization established in 2010, DTSF was founded as a result of six graduate students’ experience on an international study trip. Their time in rural southern Malawi (they stayed on Toleza Farm and studied their sustainable agriculture practices) compelled them to establish DTSF after personally witnessing the poverty that existed and that girls lacked education due to money and cultural pressures to remain uneducated. Circle of Sisterhood is proud to fund the education of one girl for one year through a $2,500 grant. The girls supported by DTSF attend Bahikta Secondary School in Balaka, Malawi. The school’s mission is “Empowering youth to be agents of change for a better society” – a mission the Circle of Sisterhood wholeheartedly supports. DTFS’s U.S.-based team is partnered with a three-person team from Toleza Farm (also in Balaka) to provide encouragement and moral support by mentoring the girls the organization supports. Mentoring helps with retention as these girls are working against cultural and financial odds. DTSF ensures that they have the best opportunity possible by providing them a quality education at a private boarding school where they can focus on their studies in a safe place with regular healthy meals. DTFS’s hope – and ours, too – is that the girls return to their communities and pay forward the education they have received by improving the lives their families and communities. We look forward to sharing news about our scholarship recipient in future blog posts as it becomes available.